No story may better display the trends and toxicity of parental favoritism than the biblical story of Joseph, which we read about in this week’s parashah, Vayeishev. Our forefather, Jacob, sets the foundation for the roles and trends of parental favoritism that remain studied today by psychologists. According to Joshua D. Foster and Ilan Shira[i], there are several factors that predict favoritism, one of which is birth order. In general, first born children receive greater privileges while last-born children receive the most parental affection. Parents also tend to favor children who share similar interests and characteristics. Perhaps a remnant of evolution, parents may sometimes favor a child who demonstrates the most promise for a successful life. Now Israel [Jacob] loved Joseph best of all his sons, for he was the child of his old age; and he had made him an ornamented tunic. And when his brothers saw that their father loved him more than any of his brothers, they hated him so that they could not speak a friendly word to him (Genesis 37:3-4). Coming from a family with one husband, four wives, twelve sons, and one daughter, Joseph’s place in his family is a bit more complex than if he were in the modern day family unit. Regardless, the unique circumstances of his parents’ relationship and his time of birth contribute to his superior treatment. 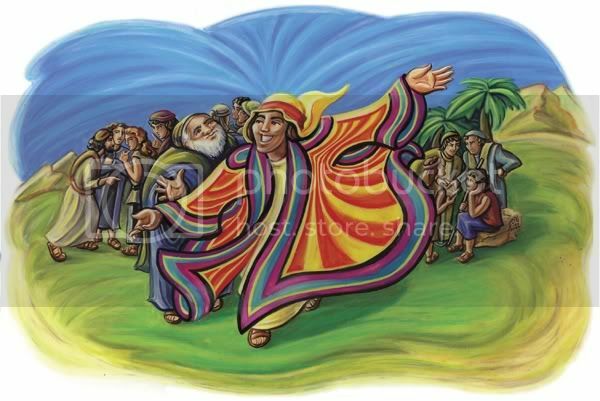 Although Joseph’s younger brother, Benjamin, was the last born of 12 sons, Joseph was the first born son of Jacob’s beloved, Rachel, who passes away while giving birth to Benjamin. Perhaps Benjamin is not given such affections of traditional last-borns because of his role in Rachel’s death? Furthermore, Jacob senses Joseph’s promise through his insightful dreams and may better relate to Joseph because of them. How can we forget that the first “dreamer” of the bible is actually Jacob, who dreamt of a ladder to heaven and wrestled with an angel of God? Regardless of the reasons for Jacob’s favoritism, the consequences of it are overall detrimental to the family dynamic. In their blog for Psychology Today, Foster and Shira describe disfavored children to suffer from more depression, greater aggressiveness, and lower self-esteem. “These repercussions are far more extreme than any benefits the favored children get out of it (negative things just have a stronger impact on people than positive things). And it’s not all rosy for the favored children either – their siblings often come to resent them, poisoning those relationships.” For many “favored” children, their high-on-a-pedestal position becomes a burden to them—one that they cannot control or alleviate from themselves. As the biblical story unfolds we see the resentment grow among Joseph and his brothers—to the point in which they plot his death, only to save his life by selling him into slavery. Joseph did not choose to be the favored child, yet his father’s actions place him in a vulnerable, lonely, and unsafe position. Psychological studies conclude that children’s well-being is highest when parents exhibit no favoritism toward anyone, even higher than the well-being of children who are favored by their parents. Perhaps if Jacob had taken the advice of modern psychologists and parenting experts, Joseph would never have experienced the diverse predicaments of his life: slavery, imprisonment, and finally emerging as a powerful leader in ancient Egypt. However, the consequences of the dysfunctional family dynamic forever remain a part of our history, for better or worse. It is up to us to take the experiences of our ancient roots and make positive change in our relationships with our children.